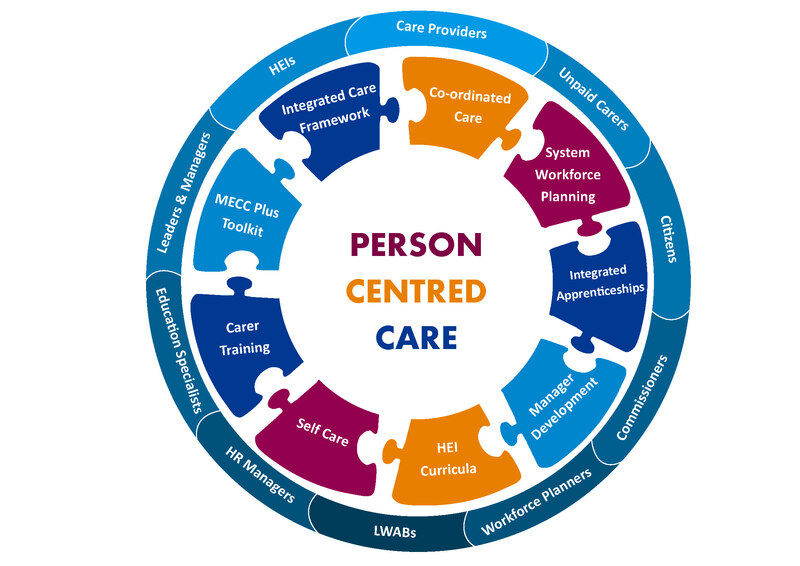 National Voices, Think Local Act Personal (2013) has defined integrated care as “Person Centred Coordinated Care.” Health Education England, Skills for Health, and Skills for Care have produced the Person-Centred Approaches Core Skills and Education Training Framework. The Integrated Care programme offers the following workforce resources covering different aspects of integrated working and user groups. See here for Integrated Care Toolkit: resources by user groups. Delivering Integrated Care West Midlands report (2017) identifies the findings from qualitative research into a Development Programme for Managers working in Health and Social Care.